See more objects with the color darkgrey rosybrown grey antiquewhite or see all the colors for this object. This is a Covered Dish. 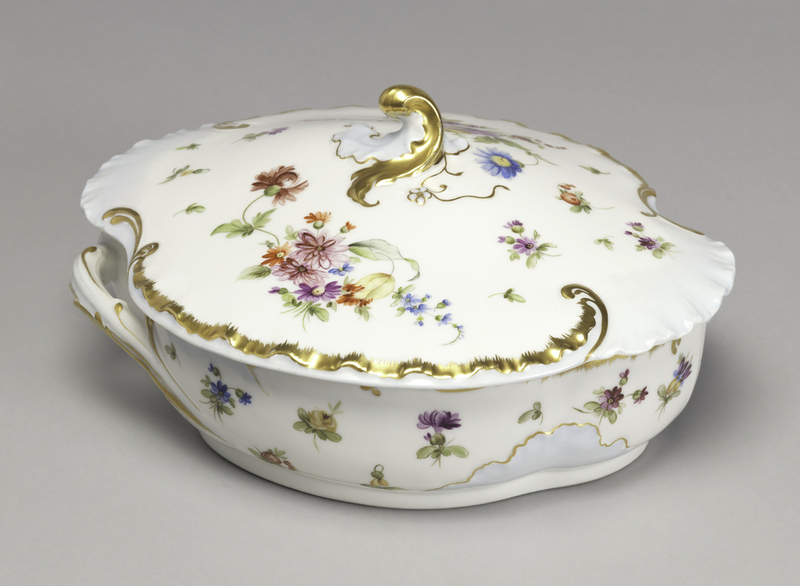 It was manufactured by Haviland & Co. and decorated by Laura Eckroth Lake. It is dated ca. 1893 and we acquired it in 1970. Its medium is glazed, gilt porcelain. It is a part of the Product Design and Decorative Arts department. a) marks under glazed base in dark red overglaze: "Lottie/2-13-1893./ [mark]"; in green underglaze "H&Co/L/France" b) marks under glazed cover in red overglaze: "Lottie/1-23-/'93"